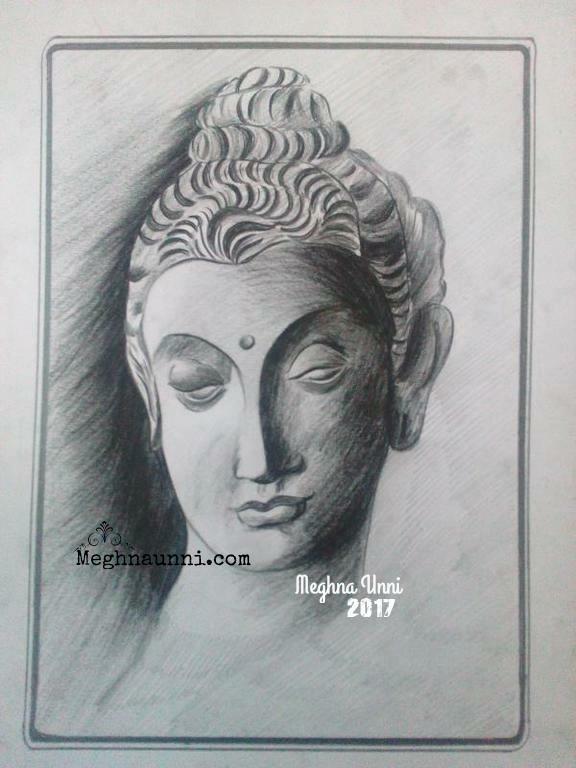 Buddha Face Pencil Shading work done by me in the drawing class. Almost completed with pencil shading. Returning to Acrylic work. Started doing a 18″ x 24″ canvas board. Hoping to finish it soon.